Barbara Heck (sometimes spelled Hick) was described as "a helping hand in every need" to one small group of Irish immigrants who had landed in New York on August 10, 1760. But when she visited one family in the fall of 1766 she was horrified to find them playing cards. According to Abel Stevens in his 1859 History of Methodism, "Seizing the cards she threw them into the fire and, hurrying to the home of Embury, which was in Barrack Street, now Park Place, she told what she had seen and done, and urged him to be no longer silent, but to rise up and preach the word of God." "Embury" was Philip Embury, Barbara Heck's cousin. A former carpenter he had been converted on Christmas Day 1752 by John Wesley, who was traveling through west Ireland. It was Embury who had convinced his family and neighbors to sail to New York. He "joyfully consented" to Heck's pleas and thus began the first Methodist Episcopal congregation in America--consisting of five members. Eventually the Irish Palatine Methodists outgrew Embury's house and a larger place of worship was necessary. A humble, rented space would have to suffice. As church historian Nathan Bangs explained in 1829, "The members of the society were mostly poor, a few in number, and but little known among the wealthy and influential portion of the citizens." 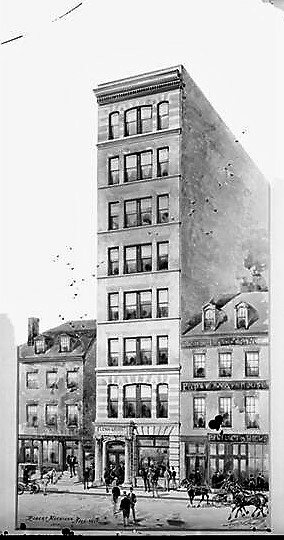 More than a century before landfill would widen lower Manhattan, Horse and Cart Street (known today as William Street) was about four blocks from the riverfront. There was a tavern named The Horse and Cart on the street; but which name came first is uncertain. Also on Horse and Cart Street was a ship chandlers shop. The loft was used for assembling the rope and cables making up the rigging of sailing ships. 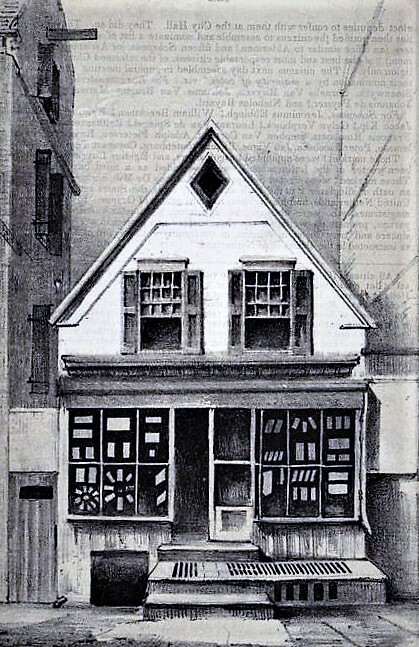 The shop's owner had rented the loft for a few years to a tiny Baptist congregation for its services, until the 27-member congregation built a small church on Gold Street near John Street in 1760. Now, in 1766, the Methodists rented the rigging loft. In 1858 the Rev. Joseph B. Wakeley, in his Early History of American Methodism, somewhat dramatically compared the Methodists' loft to "what the 'upper room' in Jerusalem was to the disciples." He wrote "The Rigging Loft was not distinguished for its magnificence or architectural beauty. It was sixty feet long and eighteen wide. Humble as it was, it had attractions for the early Methodists in this city that few places had, however splendid." Exactly when No. 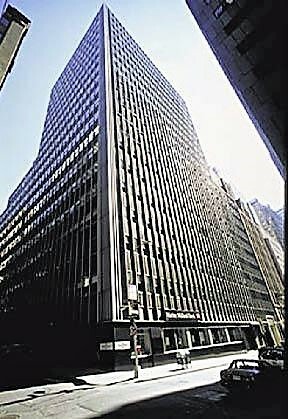 120 William Street was erected is unclear. Early 19th century historians routinely called it "the last relic of the Old Dutch architecture of New-Amsterdam." The clapboard building, however, showed little if any Dutch influence. Wakeley described it as "a little, plain, modest building, that stood with its gable-end toward the street." The Methodist congregation rented the space for nearly two years before, as The New York Times explained on October 29, 1893, "The sail loft in William Street now was found to be too small. Crowds attended [Embury's] meetings." In fact, according to Joseph Wakeley, "it could not contain half the people who desired to hear the word of the Lord." 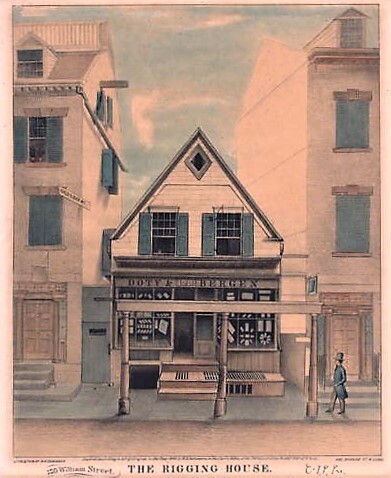 In 1768 a church was built on John Street, near Nassau Street. It appears that after the Revolution the former rigging loft was being leased as rented rooms by the building's owner, a "Mr. Winters." In 1798 the city was ravaged by a terrifying yellow fever epidemic. James Hardie described it in his 1799 An Account of the Malignant Fever, Lately Prevalent in the City of New-York, saying "death, speedy death, seemed to be the indiscriminate portion of the inhabitants of this wealthy metropolis," and quoted one newspaper which wrote "parents and children, husbands and wives, brothers and sisters were suddenly torn from the feeling bosoms of their relatives, while the mourning survivors were themselves momentarily expecting the solemn call." While those who could afford to fled "in every direction from the infected places, as from a conflagrated town," the poor upper-floor occupants of No. 120 William Street were not so fortunate. Two of them died of the disease: John Jacob Ernings, "an apprentice," and the "Widow Wolf." The little wooden building survived even as Federal homes, and then commercial buildings crowded onto William Street. In 1839 W. Bishop, "Tuscan and Straw Hat Manufacturer," opened his millinery store here. His announcement in the Morning Herald on May 7 advised in part "The subscriber begs most respectfully to inform the Ladies that he will open the store No. 120 William street, on Wednesday...with a new and splendid assortment of Tuscan and Straw Hats, which he will sell wholesale or retail at very reduced prices." He lured fashion conscious shoppers by adding "he is enabled to offer bonnets combining all the recent improvements in shape and style at 20 per cent less than the usual retail prices. His stock of Paris Ribbons will be found to surpass in variety and beauty any previously exhibited in this city." Miss W. Blanc ran her fancy goods shop here in 1844 when she was recognized by the American Institute for "the best raised worsted work." In the meantime, the loft continued to be home to working class renters. One was looking for work in 1852. Her ad in The New York Herald on May 20 read "Wanted--By a respectable young woman, a situation as Plain Cook; is a good washer and ironer, and willing to do general housework, in a small private family; or is willing to do chamberwork and plain sewing." It was possibly the same tenant who placed a second ad in November. She seems to have seen an opportunity to see the world as well. "Wanted--a situation by a respectable young woman, to go to Europe with a family, and to assist in taking care of children." The little building seems to have been vacant a year later on April 23, 1853 when George W. Jenkins advertised it "to lease, for a term of fifteen or twenty years." But times had changed and it appears he had no takers. Joseph Wakeley mused "It is somewhat singular, that while all the buildings that were erected about the time of the Rigging Loft had passed away, this edifice remained so long, alone in its glory, a time-honored relic of the past." But the relic was about to go. It was demolished in 1854. But the Methodists had not forgotten what they still called the "Cradle of American Methodism." Wakeley wrote that wood from the "ruins" were salvaged. "Its timbers were sound, and were made into canes, and many availed themselves of the opportunity to obtain a walking-stick, and at the same time secure a relic to remind them of the days of old. An ivory head was placed upon each stick, and upon the head of each cane the following inscription: 'Rigging Loft, 1766. Philip Embury.'" The small loft building on the site of the Rigging House was replaced at the turn of the century by the druggists Lehn & Fink's eight-story building. At the time the old Federal style homes on either side still survived. Today no hint of that neighborhood remains.